Duronto Eagle by Dinesh Chandra Chattopadhyay is a popular bengali Novel which is written by Dinesh Chandra Chattopadhyay. The revolution in Soviet Russia enlightened and united the illiterate people of Pamir like iron bring tempered to steel.This classic novel centers around a brave hunter Zura, belonging to an unknown lonely village, Minarkhar of Pamir Valley. Duranta Eagle is a precious possession of Bengali literature and has achieved the Vidyasagar Award in 1987 (Source: Good Reads). Popular books of Dinesh Chandra Chattopadhyay are Bhaba Samagra Part 1, Part2, Duronto Eagle, Neel Ghurni, Prothom Purush, Manush Omanush, etc. 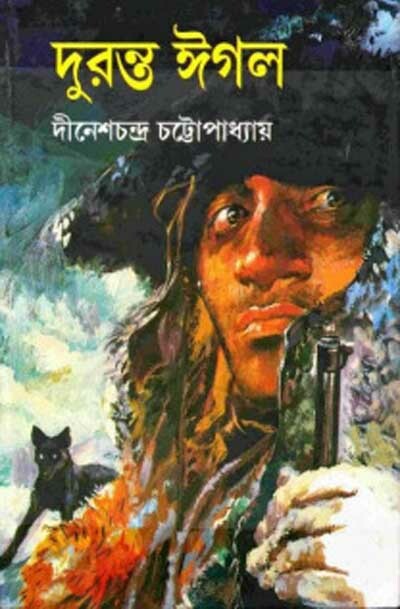 Download Dinesh Chandra Chattopadhyay Bangla Books, Novels, Stories, Natok, Travel Stories, Historical Books in pdf and Read Duronto Eagle by Dinesh Chandra Chattopadhyay.